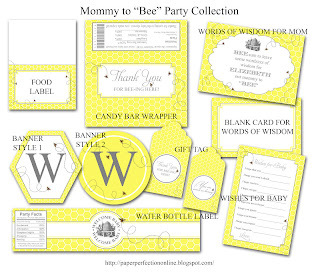 If you are looking for a fun and unique theme for a baby shower you can always have a "bee" baby shower for a sweet and bee-utiful friend or family member. 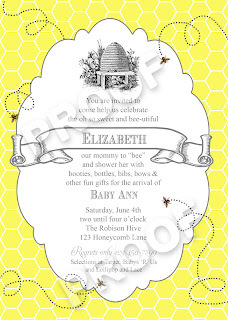 Here is a cute invitation to match the theme. 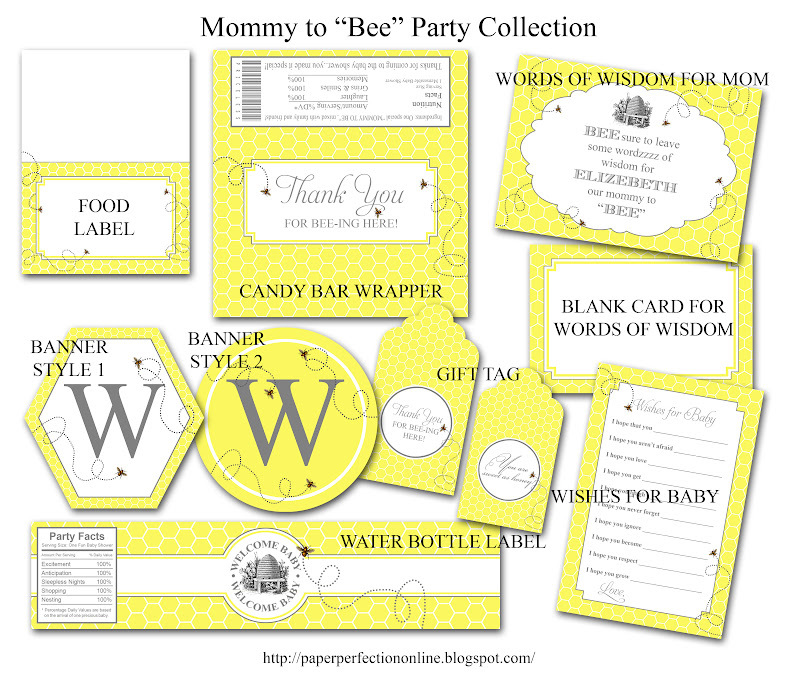 I also have additional printables like food labels, candy bar wrappers, gift tags, water bottle labels, wishes for baby, words of wisdom for mom and banner pictured below. 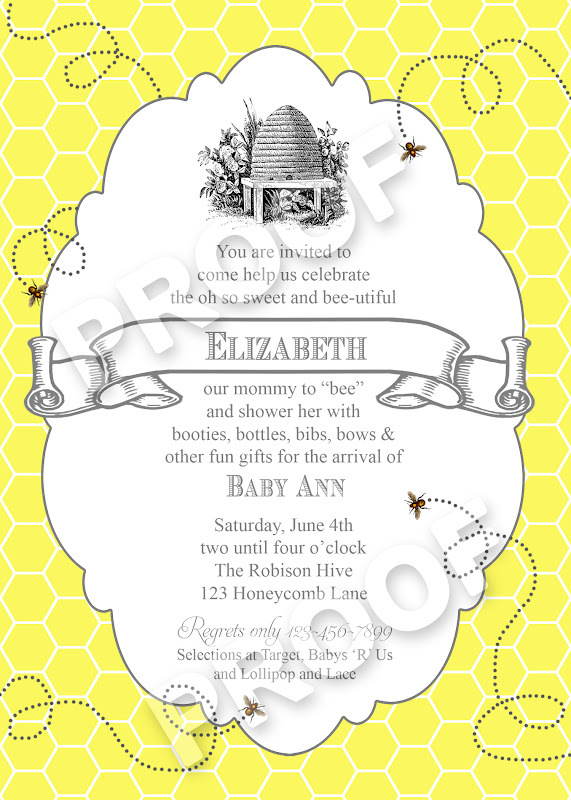 I can also make matching designs for bag toppers, straw flags or whatever fun printable you might like. For more information contact Paper Perfection at jtanddolly@yahoo.com for pricing and details.